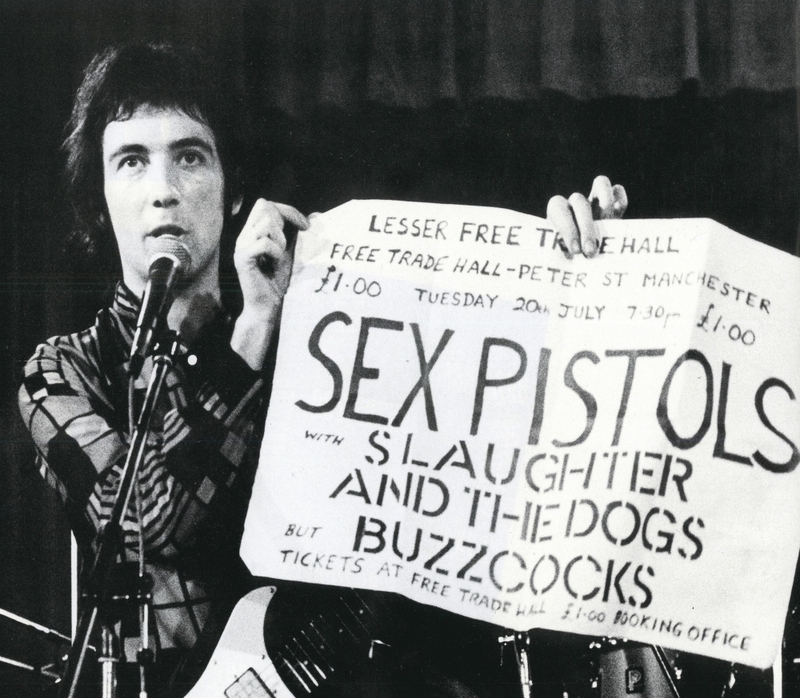 Wonderful photo by Kevin Cummins of Pete Shelley holding up a poster for the Pistols' much-fabled second gig at the Lesser Free Trade Hall. This was at the reunion gig 2 years on from the Lesser Free Trade Hall gig. 21 July 1978. Howard rejoined Buzzcocks at the end and they performed 'I Can't Control Myself 'with Steve Diggle switching to bass and Steve Garvey stepping aside, thus reverting to the original line up. The £1 price tag wasn't that cheap in 1976 for an unsigned band. It was something similar to see AC/DC at the SU later that year. With kind permission of Kevin Cummins.